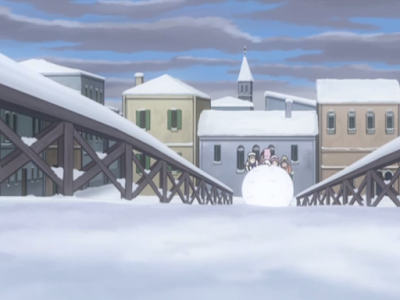 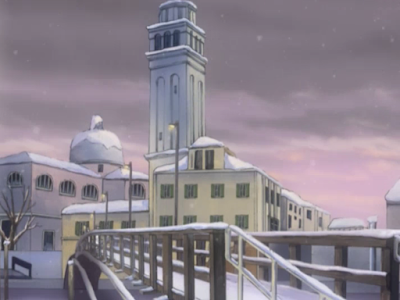 The San Pietro di Castello island is supposedly seen in the last episode of Aria the Natural. This is the Ponte di Quintavalle bridge. 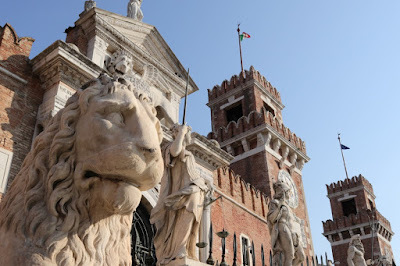 You can also see the dome and bell tower of Basilica di San Pietro di Castello in the background. 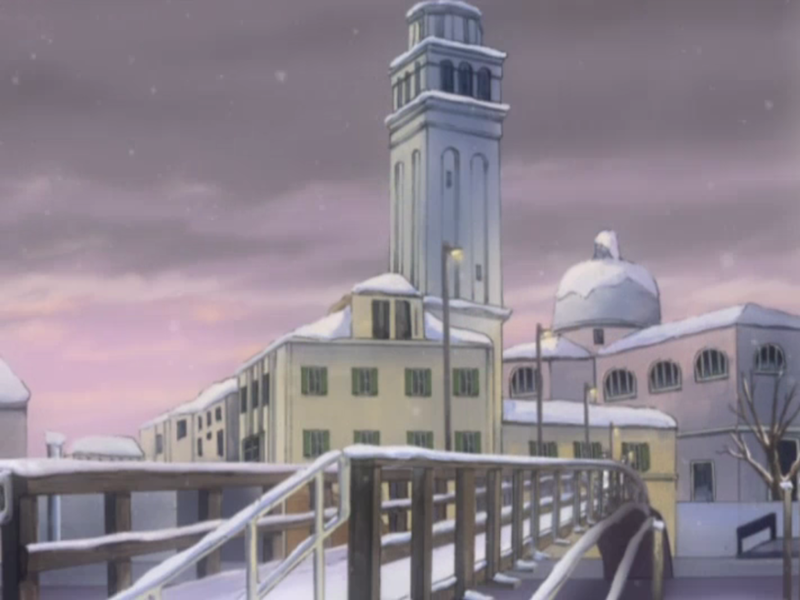 Although some of the elements here match, it doesn't match exactly. 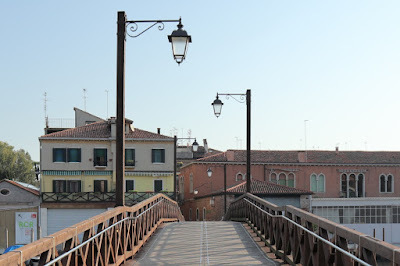 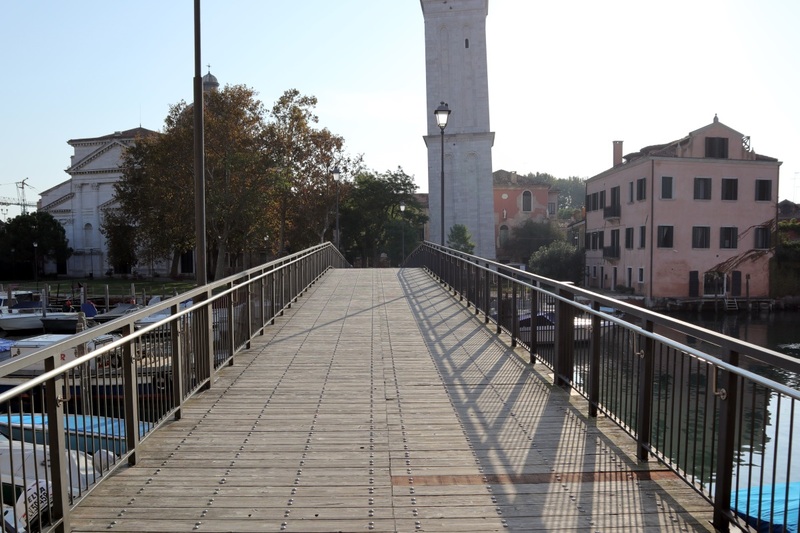 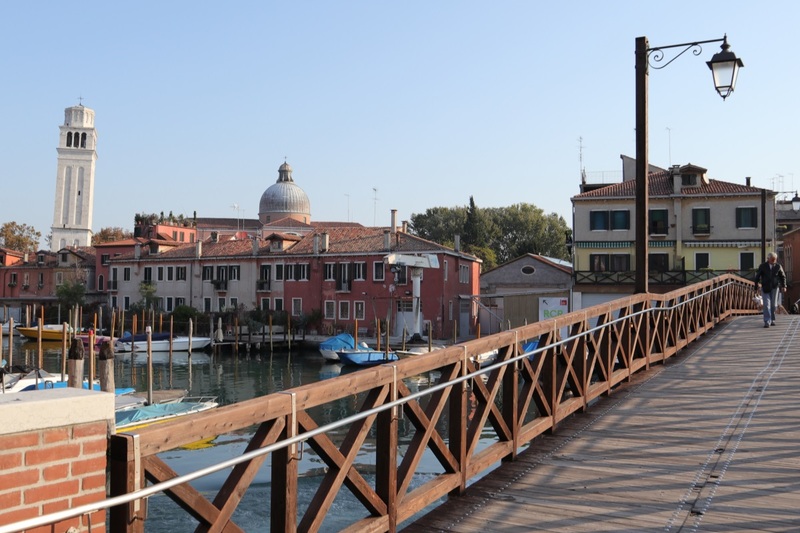 There's another bridge leading to the small island called Ponte San Pietro. It doesn't match exactly either, but if you flip the image seen in the show it seems to match a bit better here at least. The dome is hidden by the tree on the left here. 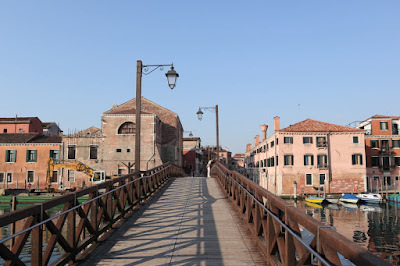 The view in the other direction on the Ponte San Pietro bridge. 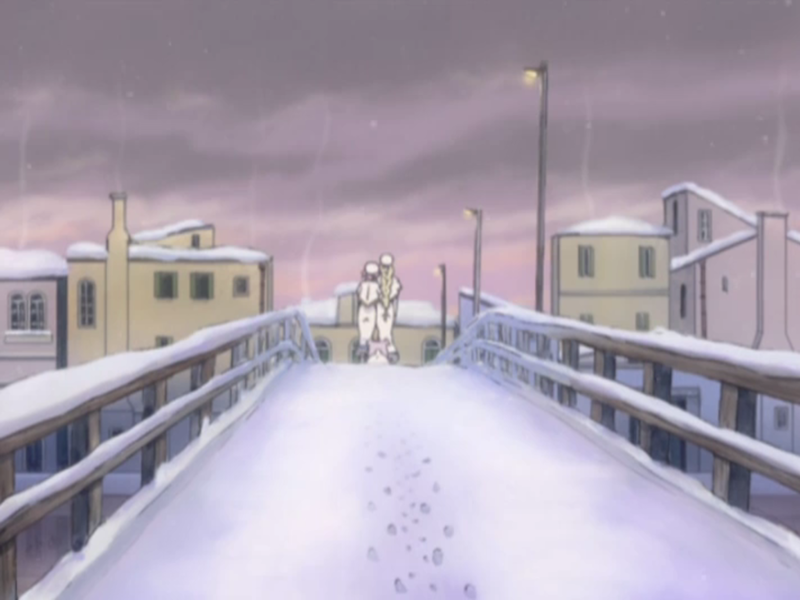 The buildings in the background doesn't match here. The same shot from Aria the Avvenire. 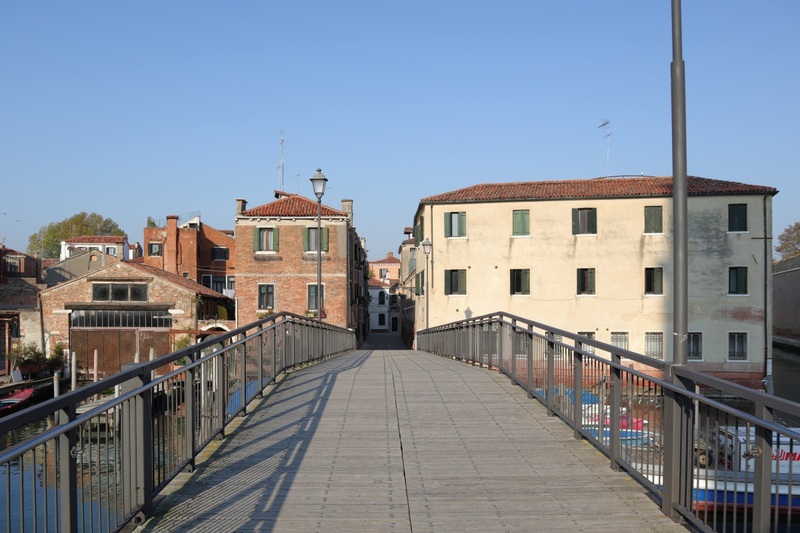 The buildings doesn't match from the Ponte di Quintavalle bridge either. 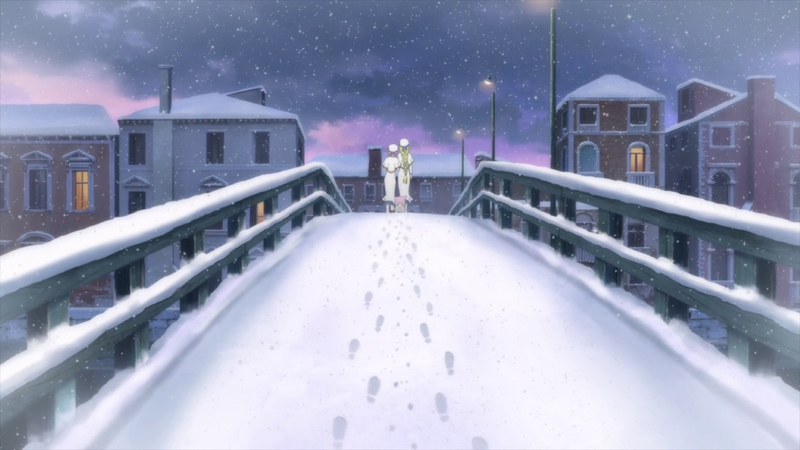 The railings on the Ponte di Quintavalle bridge matches better with another bridge shown earlier in the Aria the Natural episode, but it's the same problem with the buildings in the background. A short walk from San Pietro di Castello is also the Venetian Arsenal which is shown in a quick shot in Aria the Avvenire. The lion statue on the left here is called the Piraeus Lion. 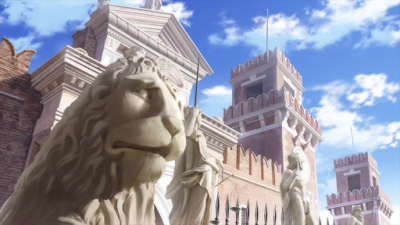 I've marked a path from the Basilica di San Pietro di Castello to the Piraeus Lion in the map below.